Are Women Owned Businesses Any Different Than Men Owned Businesses? Recently, Tony Hwang hosted and moderated a Connecticut Women in Business and Leadership Forum at Fairfield University Dolan School of Business. Passion. Relationships. Education. Sharing. Putting others first. Advocacy… were just some of the words that I heard come out of the mouths of some beautiful leaders in our community. My response: I embrace being a leader and an educator in my field. 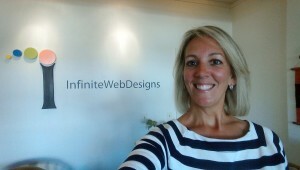 I believe my PASSION for all things – marketing, design, and social media – shines in everything I do. This passion leaves my clients and the people I come in contact with a feeling of comfort and trust. My passion has been my tool for success. What is yours? BALANCE was another topic up for discussion. What is balance? My response: I kept looking for balance until one day I found it, to only find that I had lost it the next day. I realized that balance isn’t something that you find like a lost item. It’s something that you have to continuously work at. It wasn’t until Friday’s forum that I realized that balance is all about prioritizing. Every day is going to have different priorities. One day our clients might be our priority, the next day our spouse, family and children might be our priority, another day our health might take priority. My conclusion: Our balance is always shifting as our priorities change. 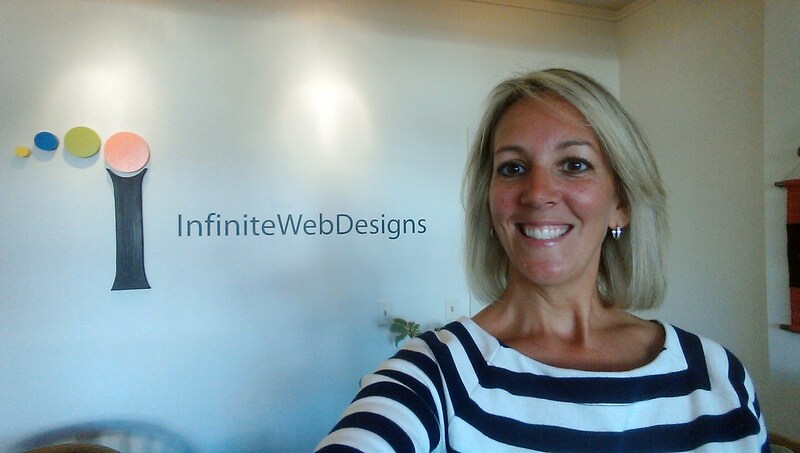 One of the reasons I founded Infinite Web Designs, LLC thirteen years ago was to afford myself the opportunity to raise my children in tandem with growing my career. In doing so, I learned this is a double edged sword. I am not alone in thinking this. Many participants in Friday’s forum shared about how our children perceive our dedication and work ethics. The consensus was that our children realize they don’t want to work as hard as we do. This has been a secret concern of mine for a long time. Although I pride myself in physically being around when my children get off the bus, I am equally as guilty of putting work before them or working late nights. The other edge of the sword is how fortunate our children are that they can witness what it means to live up to our words/commitments, adapt, give back to the community, struggle yet persevere, and achieve success. My conclusion: I am very thankful to be able to teach my children that sometimes you have to work hard in life and the rewards WILL come. The rewards may not always be financial but isn’t that sometimes better? As panelists and participants, we all pretty much established that we are business owners and leaders first and women second. There is nothing different about being a woman owned business vs. a man owned business. The way we run our businesses, build our relationships through networking and balance our priorities might be contrasted, but isn’t that about individuality more than a gender? Friday’s discussion inspired us to start a #CTBizProud initiative on social media. I encourage every, male and female business owner in the State of Connecticut to use #CTBizProud in a post with a photo of you at your place of business, Doing What You Love and Loving What You Do. In an effort to go viral, please nominate other business owners to do the same. Let’s help support each other as local business owners. After all, we are the backbone of our economy. I am #CTBizProud! I hope my perspective inspires you as much as my experience in being a part of this Connecticut Women in Business and Leadership Forum did for me. I am interested in hearing your comments and experience. Please post them below, I look forward to continuing the conversation.